Muse will perform a 'By Request' charity show and allow fans to pick the setlist. The rock trio - comprised of Matt Bellamy, Chris Wolstenholme and Dominic Howard - are set to play at The O2 Shepherd's Bush Empire on August 19 in aid of The Passage, a centre for homeless and vulnerable people. 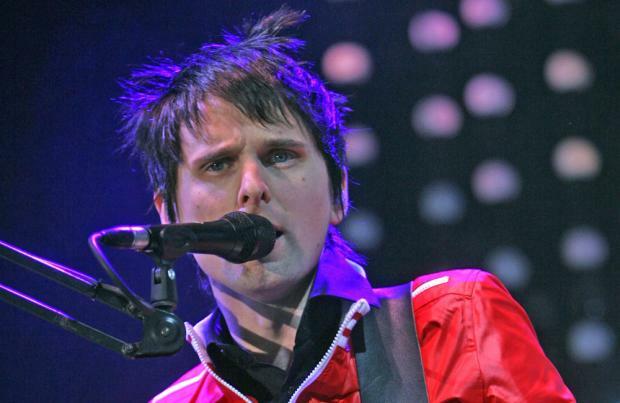 Frontman Matt Bellamy says of the news: "We have admired The Passage's work for a while now. Their work is vital to the community in London. We are looking forward to doing our bit to help the amazing staff and volunteers and the homeless people who benefit from their tireless hard work." A week later, Muse will headline Reading and Leeds festival for the third time and previously teased they could perform a fan requested set there too. Responding to a fan who asked about the setlist for the shows, Matt wrote on Twitter: "Not sure yet. Was wondering if we should do it by request?" And the 38-year-old 'Uprising' hitmaker also caused a stir amongst his followers when he alluded to the release of 'Origin of Muse', which he teased would be a reissue of the band's first two albums 'Showbiz' and 'Origin of Symmetry' alongside "early demos and rare stuff". When one fan asked how many rare songs would be on 'Origin of Muse', Matt said: "I prefer the term 'terrible early demos' not songs haha. A few (sic)"
And when another then asked what 'Origin of Muse' was, he replied: "Yeah. First two albums plus early demos and rare stuff etc. A kind of autobiography of music." During his Q&A with his fans, also hinted there would be another single "later in the year" after the band released 'Dig Down' last week.